NEW YORK: President Obama plans to name former Bush official James Comey to replace Robert S. Mueller III as the director of the FBI, says a New York Times report. According to an NYT story, Mueller is stepping down due to an already extended term limit. Comey, a former Deputy Attorney General and Republican, beat out White House counterterrorism advisor Lisa O. Monaco for the job, the report added. Reportedly the other finalist, she may have been hurt by her connection to the administrations’ response to last year’s attacks on Benghazi. Comey most recently served as general counsel at Ray Dalio’s hedge fund, Bridgewater Associates. The announcement, apparently delayed by the Boston bombings, is seen as an effort to show bipartisanship during a particularly polarizing time and a move towards a quicker confirmation. Mueller is mandated to leave his post by September 4th, so time is an issue. 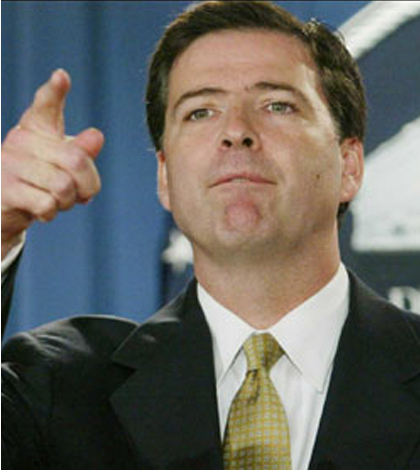 During his time serving in the Bush administration, Comey intervened when White House Counsel Alberto Gonzales and chief of staff Andrew H. Card Jr attempted to persuade then-Attorney General John Ashcroft to reauthorize a warrantless eavesdropping program when he was ill and disoriented in a hospital.